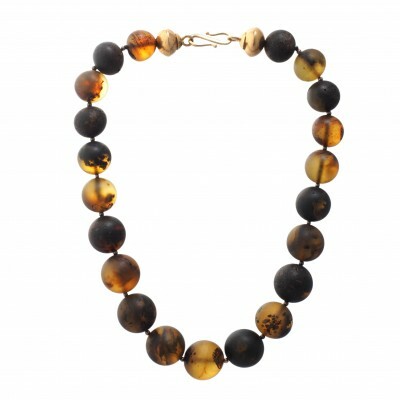 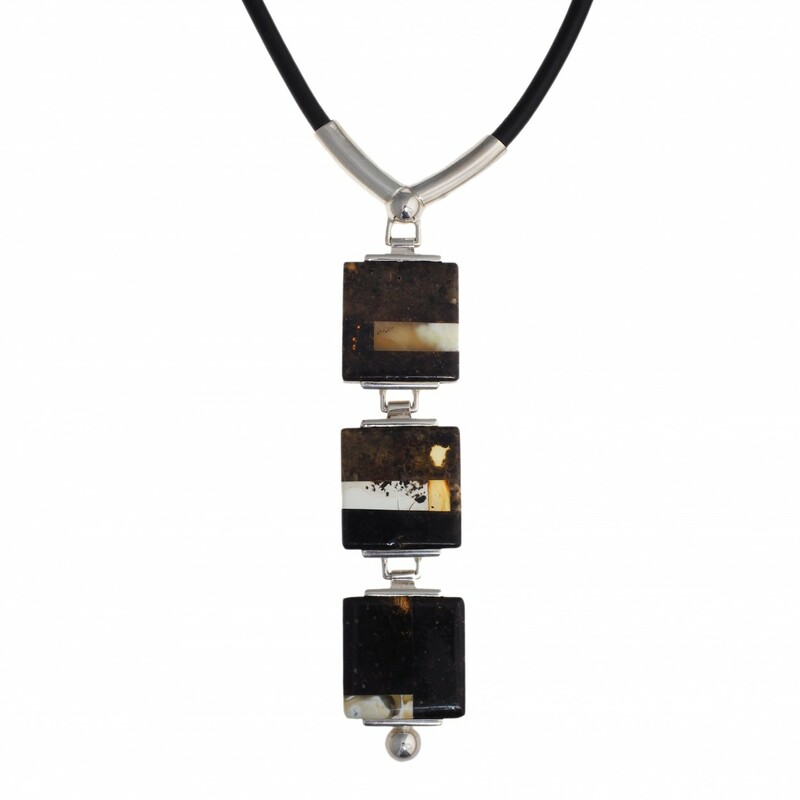 Triple Mosaic Amber Necklace is handmade from Natural Baltic Amber. 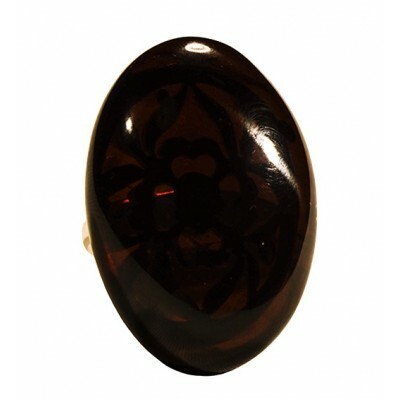 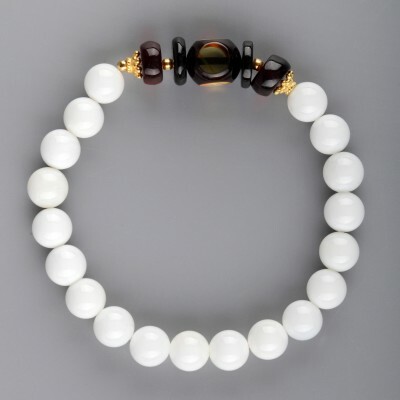 The amber stone color is black with white, grey and transparent mossy green. Color: black with white, grey and transparent mossy green.